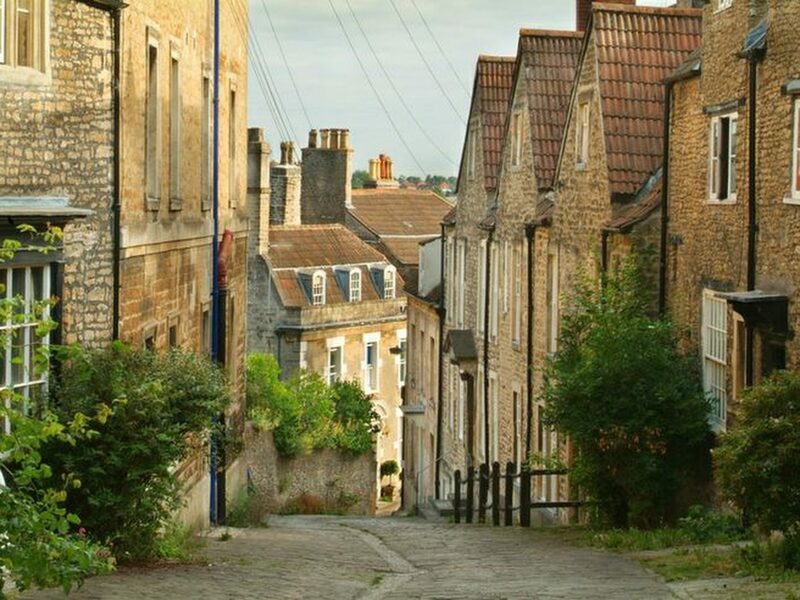 Gentle Street is a narrow and historic street, with many houses dating from the 16th, 17th and 18th centuries. This interesting, cobbled street provides one of the main routes into town and connects Christchurch Street East to St. John’s Church. 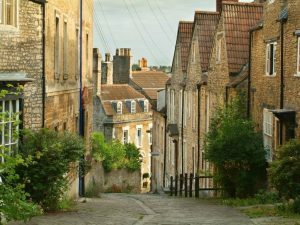 Paved in its entirety with stone setts and once a major entry, it goes back to the origins of Frome in the 7th century. Here St. Aldhelm trod and the Saxons had a look-out. Mediaeval men called it Hunger Lane because of its steepness. Later the Gentle family gave their name to it and the London coach left from the Waggon & Horses Yard. Gentle Street became a location for the filming of BBC’s Poldark in 2015. More information can be found here.